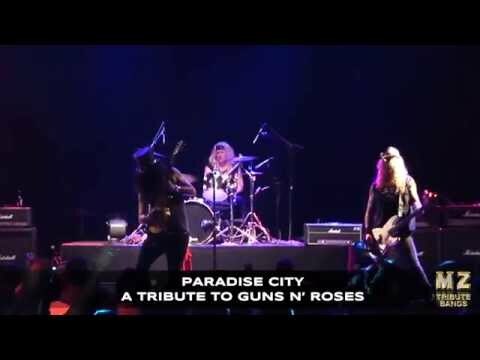 Paradise City is the most authentic tribute to Guns N' Roses currently touring the entire United States. Relive the glory days of the "Appetite for Destruction " era through the "Use Your Illusion" era. Experience a tribute to one of the world renowned, bigger than life, rock & roll bands in music history. Paradise City recreates the powerhouse sights, sounds, and attitude of a Guns N' Roses concert. Even the most raved fan will find the show unbelievably true to life. Each member of Paradise City has an extensive and versatile musical background in regional and national bands and has been playing professionally for several years. They cover their respective roles with the utmost attention to detail in looks, equipment and chops.